17 Remington Fireball ammunition is a centerfire cartridge designed in 2007 by Remington Arms Company. This cartridge is incredibly efficient and ballistically very impressive. 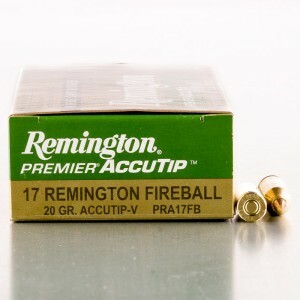 The 17 Remington Fireball uses the .221 Remington Fireball as it’s parent case, necked down to the smaller 17 caliber round. The 17 cal fireball jhp was some of the best ammo I have ever shot at varmints because it would not damage fur bad like the accuracy tip does.